Earlier this month, port professionals convened in Long Beach, Calif., to participle in AAPA’s Marine Terminal Management Training Program. 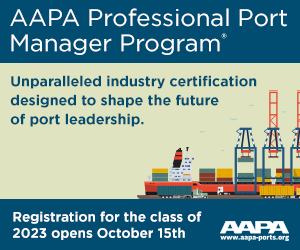 The week-long program, a flagship of AAPA’s PPM certification, focused on the complexities that go into operating a marine terminal. 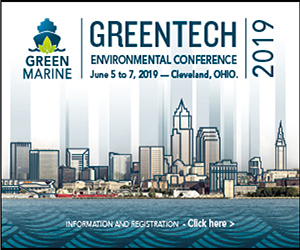 Topics included: Competitive Dynamics for Container and Non-Container Terminals, Landlord/Operating Ports, Automation, Safety and Security, Data and Data Analysis and Public Port Policy. Thanks to all who participated including members of the PPM Classes of 2019 and 2021. 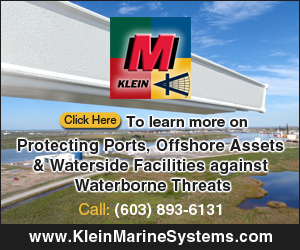 To learn more about the PPM program, click here. The Helen Delich Bentley Port of Baltimore welcomed the largest container ship to ever visit Maryland, the Gunde Maersk, which has a capacity to handle 11,000 TEUs. Florida International Terminal, LLC. (FIT) is opening a new 32-acre containerized cargo terminal at Broward County’s Port Everglades with double the number of entry gates, and adding new scales, heavy equipment, technology and increased stacking capacity. TraPac marine terminal has introduced full service night gates for Port of Oakland harbor truckers. The move to expand beyond traditional daylight hours is intended to ease daytime crowding and accelerate containerized cargo deliveries. Brandy D. Christian, Port of New Orleans president and CEO and New Orleans Public Belt Railroad Corporation CEO, highlighted the successes and challenges of the agency’s diverse business profile in 2018 at the annual State of the Port address. The Port of San Diego’s Port Equal Opportunity Program report states that the port is committed to a 21st century port culture of diversity and inclusion. The Toledo-Lucas County Port Authority shared the results of The Great Lakes Seaway Partnership’s Economic Impacts of the Port of Toledo, which documents the many contributions made by the Port Authority and Great Lakes Seaway Shipping to the city of Toledo, Lucas County, state of Ohio and Great Lakes region. Modernization of the Port of Long Beach trucking fleet has led to significant reductions in all truck-related pollution, with a 79 percent decline in smog-forming nitrogen oxides, while sulfur oxides have plummeted 91 percent and greenhouse gas emissions are down 24 percent. The port's Clean Air Action Plan has also cut emissions from ships, locomotives, container yard equipment and harbor craft like tugboats.